We're finally afloat after a long hiatus. Lots of land travel (7 countries in 7 months) and much work in the yard has intervened between our last trip out on TabbyCat and now. We're happy to report that we have all new electronics, including a chartplotter, AIS, depthsounder, wind instruments and Radar, which took longer than expected, since we had to replace the long cable that runs down the mast. As usual, we're a bit behind our "schedule". While waiting for parts to arrive, we enjoyed watching junks sailing the river, and the riggers working on a tall ship across the way. Yes, we really did stop for a day in Hawaii enroute to Scotland! 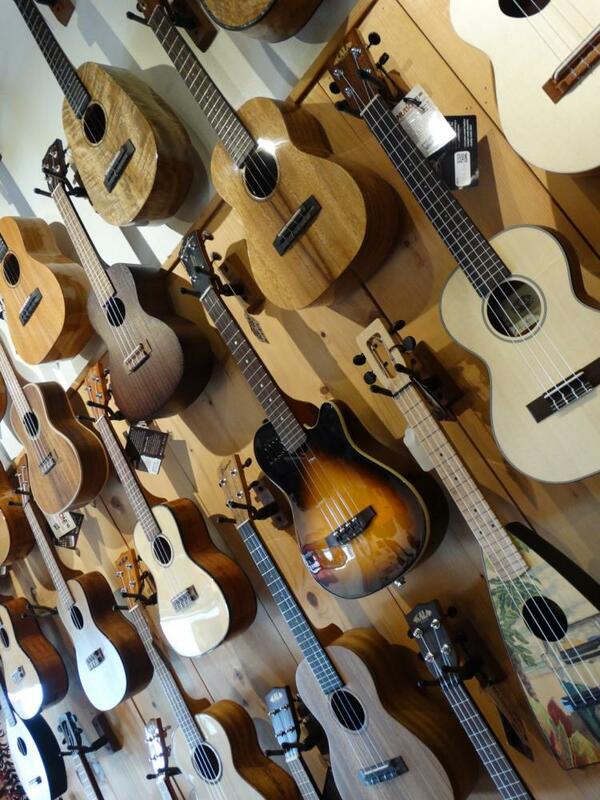 One of the best Ukelele stores in the world is at the north end of Oahu, so we rented a car for the day and enjoyed a scenic drive to the north end of the island. 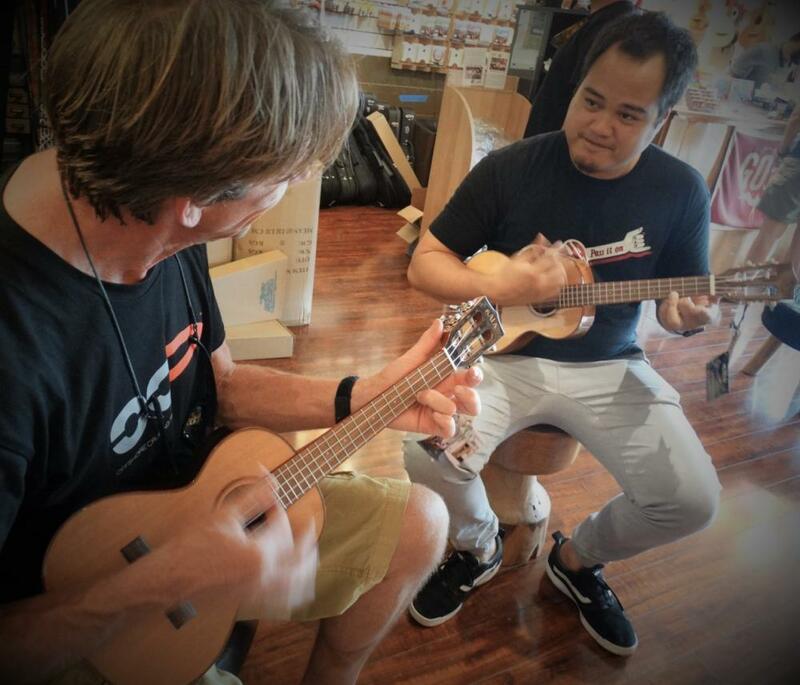 We met Cory of "Hawaii Music Supply" aka "the Ukelele Site" who guided Colin through his choice of instrument, gave him a few pointers, and amazed us both with his musical talent. Thanks Cory! We were pleased to have Marty & Gabby join us for a week aboard TabbyCat. Since we're currently based in Whangarei, we decided to show them the lovely gardens in the old rock quarry. There are some truly amazing and exotic plants to be seen! We spent the better part of the afternoon there, and didn't even walk all the trails.